This week a big Batman exposition took place in Madrid, Spain, and Warner Bros. has various photos, costumes, and other promotional items on display from all three of Christopher Nolan’s Batman movies. 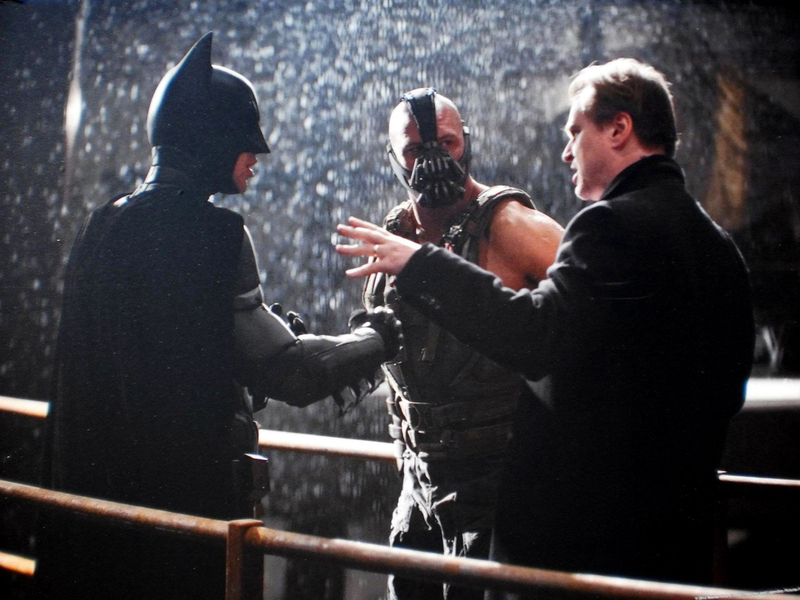 Among these promotional materials are some never before seen still photos, and some really cool behind the scene shots from The Dark Knight Rises. However the picture aren't in high quality but as soon as they are officially released, I'll update them. Hit the jump to check them out. Make sure to also check out the first two tv spots, photos, posters and banners as well. Director Christopher Nolan’s closing piece to his Batman trilogy stars Christian Bale, Tom Hardy, Ann Hathaway, Gary Oldman, Morgan Freeman, Michael Caine, Joseph Gordon-Levitt and Marion Cotillard. The Dark Knight Rises hits theaters and IMAX July 20, 2012.